January | 2016 | Sonic Smash-Music! 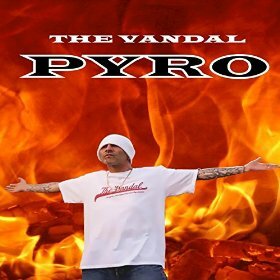 The rapper from Scotland known as the Vandal has released his latest hip-hop LP record, “Pyro.” The album has been globally published on the Mosa Records independent music label based in Spain, without the influence of the corporate music industry. Full of infectious melodies, booming bass, rat-a-tat back beats and a novel’s worth of rhymes and lines, “Pyro” is the Vandal’s most expertly spat rap album to date and one of the best hip-hop LPs for 2016 so far. “Pyro” is the most prominent official release from the Vandal since 2014’s “I Make It Hot.” That single, which created the artist’s fan base in many parts of the world, brought hard rock guitar riffs behind his inimitable skills as an emcee. It is included as Track 9 of “Pyro” and is one of the record’s most powerful songs. The Vandal’s “Pyro” is far from a rap-rock record, however. Firmly founded on bass, drums and lyric aggression, melody lines on “Pyro” are largely keyboard and synth based, excellently composed for an unstoppable hook in nearly every track. Still, it’s the writing and delivery of the Vandal’s lines which will keep hip-hop fans coming back for more. Extremely personal and utterly without “gangsta” machismo, “Pyro” is a rap record for people uninterested in shallow boasting and bling. The Vandal has been performing at locales across the United Kingdom and France, supporting acts such as Stanley Odd, the Highland Jungalists and T-Rextacy. He has lately been appearing at music festivals all over Scotland, turning heads of music fans and music critics alike. “Pyro” by the Vandal is available online worldwide from Mosa Records now. Get in early, rap fans. The pop hip-hop EDM band Myimage Sounds have released their debut EP album “Summer” and looks ahead to more music this year. The record comes with three singles and it has been proudly published on the Myimage Sounds record label. 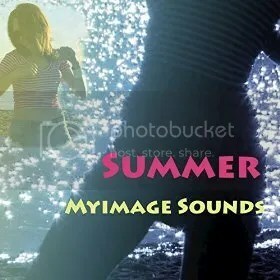 Upbeat, mellow, extremely danceable and infectiously warm, “Summer” from Myimage Sounds is a pop record for listeners, dancers, and fun lovers everywhere. Myimage Sounds are musicians and songwriters Ora B and Mickey C. Their new “Summer” EP has been variously categorized as pop, hip-hop rap, electronica, EDM. This is due to the band’s unique tones and textures, which do not lend themselves well to generic terminology. Simply plunge into their music and forget about yourself. So, if so far you still wonder what “Summer” by Myimage Sounds actually feels like when listened to, it will easily make sense once you hear what Myimage Sounds have done on their record. A thread of fun, celebration, and lighthearted sensuality runs throughout. There are notes of realism, too, such as in their “Having a Good Time” single, which is patterned after the feeling of having a genuine crush and was inspired by a real dream Ora B had. The track has been released with an official music video (link provided below). Watch “All About” video and meet Ora on the beach all about you. Or, listen to “Summer “and travel to a hot love summer place. It is outstanding how these guys come out on the EP with three songs not sounding alike, not using the same recipe. When listening, you find out that each song goes in a slightly different direction, using different form, structure, sounds, and so, but you can see they all belong to these guys’ style. And talking about this, their songs fit various listeners music taste, and current trend in music. Overall, the song themes are teen-adult love, crushes, being a girlfriend or boyfriend and so. To their listeners Myimage Sounds write, “Ora and Mickey love you, and wanna make you feel good and have a good time. “Summer” by Myimage Sounds is available online worldwide at over 700 digital music retailers now. 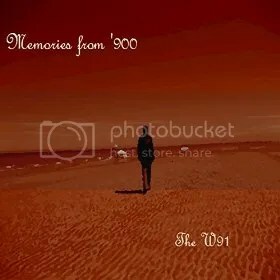 The purveyors of vintage-toned Euro pop known as the W91 have released their anxiously awaited debut LP record, “Memories from ‘900.” The album has been proudly published as an independent release without the influence of the corporate music industry. It contains 11 original tracks for a total listening time of 35 minutes. Classy, groovy, and written with deep respect for 20th-century history, “Memories from ‘900” is as thought provoking as it is enjoyable to hear. Fans of classic pop music from the UK, Italy and France will take an instant liking to “Memories from ‘900” by the W91. With tasteful amounts of reverb, gorgeous vocal work and violins interspersed with upbeat drum tracks, fans of Francoise Hardy, Serge Gainsbourg and Astrud Gilberto are sure to find a smile on their faces. Fans of Parisian ’40s-era jazz should likewise lend an ear. The record debuted at No. 59 on Italy’s Top-100 Pop Releases chart at Amazon.com, and at No. 156 across all genres, proving it to be an album worth any music fan’s interest. The W91 are songwriter/instrumentalist Massimo and lead chanteuse Jacqueline. They have cited as music inspirations artists like De Andrè, Leonard Cohen, Dire Straits, J.S Bach, J. Du Prè, and poets Charles Baudelaire and Walt Whitman. Perhaps most intriguing about “Memories from ‘900” by the W91 is the underlying idea forming its creative foundation and overall structure. While the record is clearly a work of great passion and careful consideration, its effect simply as music must not be understated. “Memories from ‘900” is exceptional as lounge music, casual listening, music for cruising, or as something highly textured and strikingly well performed for music aficionados to examine, reflect upon and appreciate. “Memories from ‘900” by the W91 is available online now. Get in early, music fans. The rock duo from Southern California known as Lea Almazan and Tracy G. Grijalva have released their highly awaited new LP, “White Horse Rider.” The record contains 13 tracks for an approximate total listening time of 45 minutes. It has been proudly published on the Lea Almazan Music and Spooky G Records independent music labels without the support of the corporate music industry. Blending the raw aggression of rock music with inspirational messages and a relentlessly driving groove, “White Horse Rider” is one of the most intriguing Christian rock albums of the season so far. “White Horse Rider” is singer-songwriter Almazan’s third release, coming on the coattails of 2014’s “Liberata” and 2013’s “Revelation.” She is joined on “White Horse Rider” by the multi-talented Tracy G. Grijalva (of the Tracy G. Group), who serves as the record’s writer, composer, producer, lead guitarist and sound engineer. The LP also includes one track, “Wide Open for Fun,” by up-and-coming songwriter Zev Brooks. The sound of “White Horse Rider” varies, built largely on a hard-rock/heavy metal foundation with grunge undertones and plenty of grit. Masterful guitar work and riveting, intuitive vocals form the backbone of the tracks, with expert songwriting guiding the record along. Fans of strong female leads in rock will be hooked by Almazan instantly, while listeners who miss the days of real guitar playing by real guitarists will recognize Grijalva’s skill in seconds flat. While “White Horse Rider” is rock through and through, still it contains some softer fare, and even a few truly Latin moments which will appeal to fans with a taste for culture fusion. But the album’s real heart and soul lie in its morality. She goes on to relate that the Christian message of “White Horse Rider” is one of forgiveness, but also of righteous fury. This, writes Almazan, is where the rider on the pale horse comes in. Asked whether she had anything to say to her fans, Almazan is enthusiastic. “Never give up on who God created you to be. Never let the circumstance dictate to you who you are called to be in the future. There are so many people that are hurting out there and I’m here to share with you call out to Jesus and watch change start. 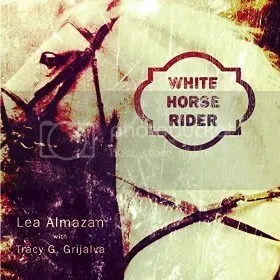 “White Horse Rider” by Lea Almazan and Tracy G. Grijalva is available online worldwide. The songwriter and producer known internationally as Deniz Durna has released his debut dance single, “Paralel Universe.” The track is the first broadly distributed single from Durna to date and is available from more than 700 sources around the world. It has been proudly published as an independent release without the influence or support of the corporate music industry. Both tribal and futuristic with booming back beats and an entrancing melody line, “Paralel Universe” belongs in every DJs play list. 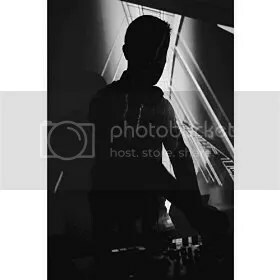 Deniz Durna cites as main artistic influences popular DJs such as Shaun Frank, Don Diablo, the Noisy Freaks, and Pep & Rash. His own sound belongs in the same set as these while maintaining its own sonic character. This unique tone comes at least partially from Durna’s musical history, which is much based in the world of non-digital music. While “Paralel Universe” is Durna’s first official release as an EDM producer, there are certain to be more. The artist is rumored to have more than 10 original dance tracks ready for release, and has said he expects to finish 15 more before long. Deniz Durna has performed in many locales around the world, including Turkish cities such as Istanbul, Izmir, and Ankara, Ukrainian cities such as Odessa and Kiev, and Russian cities such as Moscow and St. Petersburg. “Paralel Universe” by Deniz Durna is available online worldwide. The singer and songwriter of contemporary gospel known as Sherrell Mitchell has released his latest EP record, “The J.L.M. Project.” The record contains nine new tracks for an approximate total listening time of 35 minutes, making Mitchell’s new record closer to a full length release than just an EP. It has been proudly published as an independent album without the support of the corporate music industry. Stylish, earnest, full of rhythm and bringing endless amounts of soul, “The J.L.M. Project” is a spiritual journey and an extremely joyful noise. Originally from the music hotbed of Louisiana but living now in Seattle, Sherrell Mitchell cites as main artistic influences some of the most inspirational singers ever to grace the stage. These include Kirk Franklin, Fred Hammond, Israel Houghton, Take 6, Aaron Lindsey, James Fortune, Terrance Vaughn, Cora Jackson, Tamala Mann, and Tasha Cobbs. Sherrell Mitchell’s own sound blends the best qualities of these into an amalgam all his own. While gospel often tends toward the traditional (occasionally erring toward the predictable) Mitchell’s “The J.L.M. Project” is unique and often surprising in its creativity and newness. Even the opening track, “God’s Chosen People,” is enough to show the listener that this album isn’t your everyday Christian music release. It’s a colorful, funky, spirit-driven groove through a soundscape intended to celebrate, to praise, and to encourage. In addition to the considerable talents of Mitchell, himself, “The J.L.M.” project boasts songwriting by Austin Anderson, Shalonda “Lala” Mitchell and Sylviann Estrella, as well as the work of Kevin “Rappin Rev” McAfee, Leonard Jackson Jr. (Guitar), Rasheed (mix/mastering), and cover art by Hung Pham. 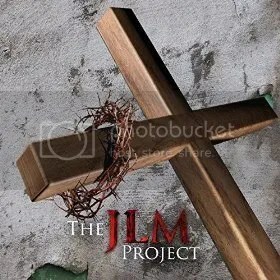 “The J.L.M. Project” is the most recent release from Sherrell Mitchell since his contemporary Catholic mass with gospel music overtones, “the Mass of New Vision,” arrived at digital music shelves in September of 2014. He has performed in such far-flung locales as Alaska, Idaho, Louisiana, New Mexico, Oregon, Washington, and Canada. “The J.L.M. Project” by Sherrell Mitchell is available online worldwide now.